Sathyaa��s acting debut in Puthagam did not create any ripples. Neither the film nor the actor was spoken about. But being the brother of Arya does have its advantages. Arya has launched his home banner to produce a film with his brother as the hero. Titled Amara Kavyam, ita��s a youthful love story directed by Jeeva Shankar of Naan fame. Naan had proved to be an ideal launch vehicle for the acting career of music composer Vijay Antony. Hopefully, Kavyam would set Sathyaa��s career on the right path. He made a strong impression as the serial killer pitted against Kamalhaasan in Vettaiyadu Vilayadu. 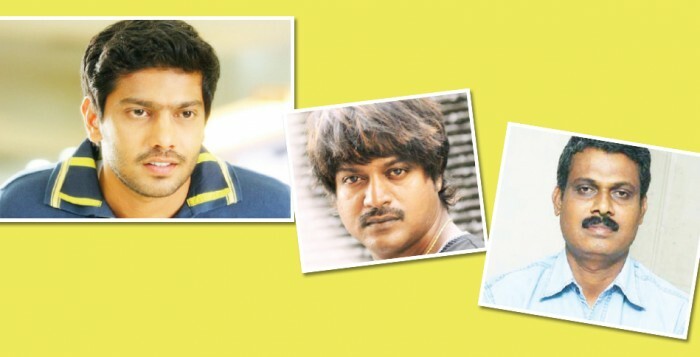 One expected to see more of Daniel Balaji. But apart from a couple of films, the actor was not active in Tamil cinema. a�?I was busy in other languages. Ia��ve done four films in Kannada, six in Malayalam, and two in Telugu,a�? explains Balaji, who is geared up for his new Tamil release Gnana Kirukkan directed by Ilayadevan. a�?Ia��m playing a rustic for the first time. I am eager to see how the audience accepts me,a�? says the actor. Controversy has always followed him, thanks to the provocative themes he chooses for his films. Whether it was Uyir, Mirugam or Sindhu Samaveli, they centered on taboo relationships and perverted behaviour. But Sami seems a chastened filmmaker now and is on to his new film, Kangaroo, featuring debutantes. a�?It will be a modern day Paasa Malar, aA� family entertainer,a�? assures the director.